Dr. Smith received his Ph.D. in Engineering Science from the University of California at Berkeley where he held an NSF Fellowship. He holds a bachelors degree in Physics from Harvey Mudd College and an MBA from Berkeley. He is Altarum/ERIM Russell D. O'Neal Professor Emeritus of Engineering at the University of Michigan, Ann Arbor. He has been a visiting professor at the Statistical Laboratory, University of Cambridge; the Faculty of Systems Theory and Operations Research, Delft University of Technology, The Netherlands; the Department of Industrial Engineering and Operations Research, Columbia University; the Econometric Institute, Erasmus University, Rotterdam, The Netherlands; Laboratoire d'Automatique et d'Analyse du Systems du CNRS, Toulouse, France; the Faculty of Industrial Engineering and Management, Technion, Haifa, Israel; the Mathematical Sciences Research Institute, Berkeley, California; the Operations Research Group, Institute of Pure and Applied Mathematics, Rio de Janeiro, Brazil; the Department of Industrial Engineering and Operations Research, University of California, Berkeley. He is the recipient of the first Altarum/ERIM Russell D. O'Neal Professorship of Engineering at the University of Michigan. He has also been honored with the Distinguished Faculty Achievement Award from the University of Michigan, the College of Engineering Research Excellence Award, the Industrial and Operations Engineering Award for Outstanding Accomplishment, an Outstanding Teacher Award from the Michigan Student Assembly, and a National Science Foundation Fellowship. He is a Fellow of the Institute for Operations Research and the Management Sciences. Professor Smith taught courses in dynamic programming and stochastic processes. He has supervised the doctoral research of twenty-eight students since 1984. He is past Director of the Dynamic Systems Optimization Laboratory at the University of Michigan. The Laboratory research is directed toward the modeling and analysis of dynamical systems over time. He was the UM Thrust Leader for Manufacturing Systems for the General Motors Collaborative Research Laboratory in Advanced Vehicle Manufacturing at the University of Michigan. Dr. Smith worked earlier at Bell Laboratories in the Network Planning Department where he developed models and algorithms for optimal routing of communications traffic. He has been PI or co-PI on four NSF Grants in global and infinite horizon optimization within the Operations Research, Manufacturing Enterprise Systems Programs, and CISE division of the National Science Foundation. Dr. Smith is psat Associate Editor of Operations Research and past Associate Editor of Management Science, and is the author of over one hundred peer reviewed publications. Dr. Smith was on leave from the University of Michigan while serving as Program Director for Operations Research and Cluster Leader for the Systems Engineering and Design Cluster of the Division of Civil, Mechanical and Manufacturing Innovation at the National Science Foundation in Arlington, Virginia. Many systems in diverse areas, spanning engineering, economics, computer science, business and biological science, rely on optimizing the performance of the system to choose design or decision variables. In these complex systems, the system performance is typically observed numerically by running a computer discrete-event simulation many times to both estimate the performance of the system and explore the design space to determine the optimal values of the variables. Striking a balance between exploration of new points and estimation of potentially good points is critical for computationally efficient algorithms. Ideally one would perform exactly one simulation per design point, or single observation simulation optimization. This award supports fundamental research in proving that it is possible to estimate the objective function at a point by averaging observed values from nearby points. The research will lead to new algorithms with theoretical foundations that potentially change the way users make system-wide decisions. The idea of simulating a single observation per design has roots in classic stochastic approximation algorithms, although their convergence proofs were to a local optimum. Since we do not presume that the objective function for a simulated system is convex, we seek a global optimum. Previous research introduced the idea of estimating the objective function at a specific design point using other designs within shrinking balls around it, thus never repeating a simulation at a design vector. However, the analysis assumed that the optimization algorithm generated independently sampled random points, thus avoiding dependencies among errors. However, the computational performance of such non-adaptive algorithms is known to scale badly (e.g., exponentially) in terms of the dimension of the problem. If successful, this award will help create a class of adaptive random search algorithms that converge to a global optimum in probability using a single observation per candidate point. The challenge is in accounting for the complex dependencies and their influence in exploring new candidates. By eliminating inherent biases in adaptive algorithms, the new methodology will contribute to intellectual merit by integrating optimization and simulation for convergent global algorithms with theoretical foundations. By decreasing computational effort, a broad range of applications will benefit by being able to optimize system performance. The objective of this award is to provide theoretical analysis and solution methods for a large sub-class of countably infinite linear optimization problems (CILPs), i.e., linear programming problems in which the number of variables and constraints is countably infinite. CILPs arise in a variety of applications, including infinite-horizon non-stationary Markov Decision Processes (MDPs) and stationary MDPs with countably infinite state spaces, both with and without constraints. This work will build a strong theoretical, algorithmic and computational framework for this as yet underdeveloped field of mathematical optimization, establishing conditions under which important theoretical and algorithmic results from the well developed field of finite LPs can be extended to important classes of CILPs. This includes development and rigorous theoretical analysis of simplex-like algorithms for non-stationary MDPs and improvements and extensive tests of the computational performance of these algorithms. Moreover, the research will extend existing and new theoretical and algorithmic results to CILP representations of other important types of MDPs, including stationary MDPs with countably infinite state spaces, and non-stationary infinite-horizon MDPs with side constraints. The results of this work will deepen the current understanding of the fundamental structural properties of CILPs, and lead to development of new algorithmic approaches to find their solutions. Moreover, this research will directly contribute to better analysis and solution tools for many types of problems of long-term planning under uncertainty, including applications in economics, finance, and manufacturing and service operations management. Theoretical results and algorithmic solution methods developed under this award will enable decision makers to better understand the structure and behavior of optimal decisions in such problems, and in particular to better understand the interplay between the ability to make better decisions today and the amount of future forecasting required. Software developed under this award will be distributed and documented online, and graduate students will benefit from research participation and curriculum development resulting from this work. National Science Foundation, "Collaborative Research: Approximate Fictitious Play for the Optimization of Complex Systems," CCF-0830092, Program in Numeric, Symbolic & Geometric Computation, $116,566, 8/4/2008-8/3/2011, Principal Investigator Marina Epelman, (Former Co-Principal Investigator, Robert L. Smith). The prevalence of advanced computing technology has resulted in increasingly complex simulation models of manufacturing, telecommunication, logistic, transportation, supply chain and other engineering systems. Such models often lack mathematical properties that have traditionally been essential to the development of efficient computational procedures for determining an optimal system design. Consequently, the need arises to develop new optimization algorithms that remain efficient even in the absence of simplifying mathematical structures. This research investigates the analytical and practical potential of computationally efficient variants of Fictitious Play (FP), an iterative technique from the mathematical theory of learning, as an optimization paradigm to achieve this goal. The key idea is to model the optimization problem as a game of common interest between artificial "players" that correspond to components of a carefully chosen partition of the design variables. The shared interest of these players is to optimize the metric of system performance. Theoretical justification for this approach is rooted in the well-known fact that for games of common interest, limit points of FP are Nash equilibria and thus may be viewed as a type of local optimum. The research builds on the investigators' earlier work on Sampled Fictitious Play (SFP), a modification that replaces the exceptionally demanding expected utility calculations in FP with their sampled approximations while still preserving FP's theoretical properties. The work will culminate in a powerful and rigorous suite of algorithms the investigators term Approximate Fictitious Play (AFP), where the "players" interact with one another by calculating a best response to a sample of strategies independently and adaptively chosen from a probability distribution over their history of past best responses. A major computational benefit of AFP is that the best response subproblems are embedded in and significantly smaller than the original optimization problem, leading to a dramatic increase in efficiency compared to finding jointly optimal strategies. Traditionally, simulation models of complex systems have been employed as descriptive tools to test "rule-of-thumb" alternatives suggested by a knowledgeable user. The AFP paradigm promises to make these models prescriptive as its convergence and optimality properties do not rely on regularity conditions that such systems and models are unlikely to exhibit. The safety and mission effectiveness of naval vessels can be greatly enhanced by incorporating recent technological advances in real-time wave measurements and forecasts into intelligent control systems for vessel maneuvering. Typical applications include determining the optimum path of automated surface vessels to minimize vessel motions, avoidance of dangerous situations due to the sudden appearance of excessively large "rogue" waves, prediction of periods of calm seas for launch/recovery operations, and minimizing vessel motions during ship-to-ship cargo transfer operations. This research project seeks to address several of these naval applications by developing and testing an integrated system for the real-time control of maneuvering vessels in evolving wave fields. National Science Foundation,"Fictitious Play for Complex Systems Optimization" DMI-0422752, Program in Operations Research, $215,907, 8/15/2004-7/31/2008, Project Director, Marina Epelman, Co-Principal Investigator, Robert L. Smith. Increasingly, the need arises to solve large-scale complex optimization problems modeled by simulations that allow little or no structural assumptions on the form of their objective functions. And yet their complexity and scope demand integrated approaches to finding optimal designs. This grant will fund the investigation of the potential of a fictitious play paradigm as an algorithmic approach to such problems, both from theoretical and practical points of view. Fictitious Play (FP), which is an iterative process originating in game theory, executes a non-cooperative game repeatedly among players represented by a partition of the decision variables of the underlying system optimization problem. Best replies, as opposed to jointly optimal strategies, can thus dramatically reduce the computational complexity of the problem. Proposed work will focus on computationally practical variants of such an algorithm, and their application to two practical problems: design of dynamic traffic signal timing plans and large-scale instances of Dynamic Programming. In particular, as part of our research, we hope to establish close links between concepts and results in game theory and dynamic programming that so far appear to be unexplored. The opportunity to seek better system performance using realistic simulations of complex systems with an algorithm that gracefully scales and offers the opportunity to compute in parallel can have significant benefits for areas such as, but not limited to, transportation and manufacturing. If successful, this research will not only lead to potential improvements in these application arenas, but will also provide a general and efficient algorithmic tool for improving design of complex realistically-modeled large scale systems, which promises to be broadly and easily applicable. The research promises to produce significant interactions with industry and government to insure realism for the models and data developed. National Science Foundation, "GOALI: Planning Horizons for Optimal Decision Making Over Time with Applications to Production Systems Optimization," DMI-0322114, Program in Manufacturing Enterprise Systems, $256,931, 2003-2008, Project Director, Robert L. Smith, Co-Principal Investigator, Dr. Danial Reaume, General Motors R & D Center. Additional support: $75,000 (direct cost) Matching Funds General Motors R & D.
Within the context of today's rapidly changing world, firms are confronted daily with the challenge of making decisions that not only make economic sense now but also position the firm for grappling with a future often characterized by rapidly evolving technology and markets. Key to making these decisions are the planning horizons employed. Historically, selection of planning horizons has been based upon tradition or engineering judgment. If that horizon is myopic, the resulting decision can be short-sighted and fail to anticipate events that can render today's decision unwise. If the horizon is too long, considerable resources may be expended to collect irrelevant data and the resulting problem can present formidable computational demands. The overall goal of this research is to provide a rational framework that leads to a planning horizon choice that is efficient and yet far-sighted, leading to decisions which are undistorted by unanticipated end-of-study effects. Examples of such decision-making problems include the sizing and timing of capacity expansions, planning for production scheduling and maintenance tasking, and the replacement and acquisition of new equipment. We propose to validate the models and methods developed on the problem of jointly optimizing manufacture and maintenance schedules in the context of vehicle production along a collection of production lines at General Motors. The research will be collaboratively pursued with faculty and students at the University of Michigan and research engineering staff at General Motors R & D Laboratories. The intellectual merit of this work includes establishing methods and conditions under which one may finitely compute an optimal first policy to a problem with infinite data, thereby extending solution procedures to cover nonhomogeneous Markov decision processes. The broad impact of this work lies in the potential of the models, algorithms, and rules-of-thumb developed to assist decision makers in deciding how far into the future they need to look to make a wise decision today. This research will be grounded in a real application arena at General Motors with the intent of increasing the productivity and reliability of national manufacturing systems. Students will serve as interns at GM thus directly assisting in the transfer of technology both in the research and educational domains. National Science Foundation, "Collaborative Research: Adaptive Search for Global Optimization," (collaborative research with Professor Zelda Zabinsky, University of Washington ), DMI-0244291, Program in Operations Research, $186,596, June 1, 2003-2008, Project Director, Robert L. Smith. Additional support: $20,000 (direct cost) Matching Funds University of Michigan. Mathematical models of complex systems, in particular those arising in engineering applications, offer an opportunity to optimize their design and operation. This can be accomplished through the selection of an objective function and decision variables that mathematically optimize system performance. Many local search algorithms exist which can find a local optimum for such models, but effective global search algorithms that promise to find a global optimum are just beginning to become available. These global optimization algorithms are compromised however by an inability to be scaled up to solve practical large scale optimization problems. It is particularly important therefore that new algorithms be developed with a rigorous theoretical foundation that makes reliable predictions about their performance as a function of the size or scale of the problems to be solved. The overall objective of this proposed research is to improve the effectiveness of global optimization methods by establishing a theoretical foundation for a class of stochastic search methods. The conceptual framework proposed is that of solving global optimization problems by stochastic emulation of distributions that concentrate around the global optimum. Development of rapid sampling algorithms can thereby lead to efficient global optimization algorithms. These algorithms will be tested on three application areas: structural optimization, shape optimization and equipment replacement under technological change. The approach promises to lead to an efficient algorithm that will render tractable problems like our three application areas. General Motors, "Joint Optimization of Investment, Production, and Maintenance in Production Systems," GM Collaborative Research Laboratory in Advanced Vehicle Manufacturing, $735,000 (equivalent with indirect costs), 12/2002-12/2008. Co-Project Leader, Robert L. Smith (with Daniel Reaume, General Motors). Automotive manufacturing requires decision-making at the strategic, tactical, and operational level. These decisions include include investments, production targets, production schedules, and maintenance schedules. While optimizing any one of these decisions is beneficial, a significantly greater benefit is potentially available from the integrated optimization of the entire system of decisions. With steadily dropping vehicle prices and rising incentives, automobile manufacturers are under intense pressure to cut costs by increasing the efficiency of manufacturing operations. Simultaneously, however, flexibility is a priority since customers are demanding a more rapid introduction of new vehicle models and expecting their custom orders to be filled ever more quickly. Unfortunately, increasing flexibility generally decreases efficiency due to added investment and system complexity. Such tradeoffs are often exacerbated by local optimization of a single aspect of a production system. For example, flexibility at a line could be increased through investment in newly flexible manufacturing equipment, but such equipment is far more expensive and less reliable than traditional dedicated equipment. Considering several lines together as a coordinated system, on the other hand, one could achieve significant flexibility with only minimal investments in moderately flexible equipment. Similarly, at a more micro-level, efficiency may be increased by closely coordinating maintenance and production activities. For example, shutting down production briefly to allow preventive maintenance to be performed leads to increased reliability and throughput that may far outweigh the production time foregone. i) Develop an integrated model of plant investment, production planning, production scheduling, and maintenance. ii) Develop optimization techniques to optimize this model. iii) Synthesize the results of optimization experiments into a set of key principles underlying the design and operation of production systems. National Science Foundation, "Complex Networks Optimization" DMI-0217283, Program in Operations Research and Production Systems, $106,841, 2002-8/31/2004, Project Director, Robert L. Smith, Co-Principal Investigator, Marina Epelman. This research project will study optimization algorithms rooted in the ideas of game theory in the context of complex network optimization, and particularly decentralized network optimization. Probably the central issue in managing such decentralized networks has been how to set prices so as to motivate the competing users to evolve to an overall system optimal configuration. The research will investigate the powerful paradigm of economic competition in the framework of artificial dynamic games that are played off-line, resulting in an algorithm that is potentially practical for large-scale systems optimization. The basic paradigm that will be investigated derives from Fictitious Play which is an adaptive procedure wherein each player assumes that other players will play according to the empirical distribution of their previous plays. The Fictitious Play method is a novel paradigm for optimization that draws from several distinct disciplines and application areas, including classical optimization, game theory, transportation science, and queueing network protocols. The robust nature of the algorithm allows for the ill-structured black box models of real systems which seldom exhibit the kind of smoothness properties that classical optimization methods demand. Its applicability in the context of two important real-world systems: a) internet traffic routing protocols and b) dynamic route guidance will be tested. Complex networks optimization is an important capability in a society increasingly dominated by ever more complex networks of people and machines. Examples include intelligent transportation systems, computer networks, and supply chains of customers and suppliers. The success of the research will lead to the development of a theoretical basis for the optimization of such complex-structured systems. The applicability of the proposed algorithmic paradigm of game theory through its application to realistic problems arising in the design and operation of the communications and transportation networks will be tested and refined. This research will not only lead to potential improvements in these application arenas but will also necessitate significant interactions with industry and government to insure realism for the models and data developed. National Science Foundation GOALI, "Large Scale Dynamic Programming for Optimizing the Design and Operation of Complex Systems with Applications to Production Line Design," DMI-9900267, Program in Operations Research and Production Systems, $205,000, 1999-2004. Project Director, Robert L. Smith, Co-Principal Investigator, Dr. Jeffrey Alden, General Motors R & D Center. Additional support: $75,000 (direct cost) Matching Funds General Motors R & D.
Dynamic programming is an extremely general framework for the formulation and solution of nonlinear discrete optimization problems. It allows for the explicit incorporation of either-or decisions as well as the effects of underlying uncertainty that may be present in the system being modeled. Its principal drawback is the tendency for the underlying state space of the formulation to grow explosively with respect to the size of the system. This grant provides funding for the development of procedures to limit to manageable proportions the growth of the state space that needs to be considered. This will be accomplished in two ways: a) Model Simlification though hierarchical state aggregation, and b) Solution Acceleration through state pruning. The former approach can introduce errors which will be controlled through the ability to compute bounds on the resulting error of the approximation. The models and algorithms developed will be implemented and validated on a large scale problem in production line design in cooperation with research staff at the General Motors R&D Center at Warren, Michigan. If this research effort is successful, the resulting ability to approximately model and optimize large scale complex systems with easily implemented dynamic progamming techniques will greatly expand the class of design and operational problems in manufacturing and service sectors that are amenable to analysis. National Science Foundation, "Adaptive Search for Global Optimization," (collaborative research with Professor Zelda Zabinsky, University of Washington), DMI-9820744, Program in Operations Research and Production Systems, $204,000, 1999-2004, Project Director, Robert L. Smith. Most of the decision problems facing planners today are sequential in nature, requiring a series of decisions made over time, usually in the context of a changing environment. Examples include the sizing and timing of capacity expansions, planning for production scheduling, and the replacement and acquisition of new equipment. In spite of the fact that tomorrow will likely result in a very different world than the one we face today, stationary models for sequential decision making continue to be the predominant model of choice for practitioners for two fundamental reasons: a) (methodology driven) stationary models lead to finite algorithms for finding optimal policies, and b) (data driven) stationary models eliminate the need to forecast the future. We seek to develop finite algorithms and forecasting procedures for the determination of optimal decisions in the context of non-stationary models that accurately reflect a future characterized by technological change. Selection of a planning horizon for non-stationary models has been in the past based upon tradition or engineering judgment. When that horizon is myopic, the resulting decisions taken can be short-sighted and fail to properly position the firm for a future characterized by rapidly changing technology. The overall goal of this research is to provide a rational framework that leads to a planning horizon choice that is far-sighted, leading to decisions undistorted by potential end-of-study effects. Federal Highway Administration, "Traffic Modeling in Dynamic Route Guidance and Coordinated Signal Control,'' FHWA Grant DTFH61-94-C-00017-003, $450,000, 1993-2000, Project Director, Robert L. Smith, Co-Principal Investigator, Stephane Lafortune. 1) Dynamic Route Guidance : To develop models and algorithms for dynamic route guidance using real-time traffic information, 2) Coordinated Signal Control: To develop models and algorithms for adaptive signal control and its coordination with route guidance, and 3) Benefits of Advanced Traveler Information Systems: To quantify the potential benefits of ATIS (Advanced Traveler Information Systems). Army Research Office ASSERT Grant, "Optimization Algorithms for Low Energy Mobile Digital Communications Systems," ARO DAAG55-98-1-0155, $120,000, 1998-3/31/2002, Co-Principal Investigator, Robert L. Smith, Project Director, Wayne Stark. We investigate the application of global optimization algorithms for low power communication networks. Army Research Office MURI Grant, "Low Energy Electronics Design for Mobile Platforms," ARO DAAH04-96-1-0377, 1997-2002, Co-Principal Investigators Sean Coffey, Jack East, Alfred Hero, Linda Katehi, Stephane Lafortune, Pinaki Mazumdar, David Neuhoff, Kamal Sarabandi, Robert L. Smith, Demosthenis Teneketzis, Kimberly Wasserman, Project Director, Wayne Stark. In order to address the need for low-energy electronics design for mobile platforms in future Army communication systems a multidisciplinary effort is needed to investigate system and component design, simulation and optimization techniques. The emphasis in this research is on the optimization, from a systems perspective, of energy requirements for a given performance level incorporating realistic models of device and circuit characteristics and energy consumption. The objectives of our proposed program are to carry out detailed investigations to determine the best possible approaches and design methodologies to achieve significant energy reduction in a mobile platform performing various functions including communications, surveillance, detection, diagnostics, and GPS direction finding. Esra Sisikoglu, "Distributed Algorithms Based on Fictitious Play for Near Optimal Sequential Decision Making," 2009, Co-Chair (with Marina Epelman), Formerly Assistant Professor, University of Missouri. Blake Nicholson, "Scheduling Shutdowns for Manufacturing Systems with Application to Automotive Production Lines: Optimization Models and Computation," 2008, Co-Chairman (with Marina Epelman), Formerly Northwest Airlines, Minneapolis. Timothy Lortz, "Solvability in Discrete, Nonstationary, Inﬁnite Horizon Optimization," 2008, Co-Chairman (with Archis Ghate), Booz Allen, Maryland. Archis Ghate, "Markov Chains, Game Theory, and Infinite Programming: Three Paradigms for Optimization of Complex Systems," 2006, Chairman, Professor, University of Washington, Seattle. Shih-Fen Cheng, "Game-Theoretic Approachs for Complex Systems Optimization," 2006, Co-Chairman (with Mike Wellman), Assistant Professor, Singapore Management University, Singapore. Stephen Baumert, "Stochastic Search Methods for Large-Scale Optimization," 2004, Chairman. Formerly Assistant Professor, Air Force Institute of Technology, Dayton, Ohio (first position after PhD). Matthew Bailey, "State Aggregation for Large Scale Acyclic Deterministic Dynamic Programming Problems," 2001, Co-Chairman (with Jeffrey Alden, )Associate Professor and Scott Research Professor of Management, Bucknell University. Torpong Cheevaprawatdomrong, "Monotonicity in Infinite Horizon Optimization," 2001.Formerly Staff Member, Jong Stit Co.,Ltd., Bangkok, Thailand. Allise Wachs, ``Average Cost Optimality in Stochastic Infinite Horizon Optimization,'' graduated 1998, Co-Chairman (with Irwin Schochetman). CEO, Integral Concepts, Inc., West Bloomfield, Michigan. Dan Reaume, ``Efficient Random Search for Constrained Global and Convex Optimization,'' graduated 1997, Co-Chairman (with Edwin Romeijn). Vice President of Operations Research, Revenue Analytics, Inc., Atlanta. Alfredo Garcia, ``Approximating Equilibria in Infinite Horizon Games,'' graduated 1997. Professor, Texas A&M and Program Manager for Control of Networked Multi-agent Systems, Army Research Office. Yu-Li Chou, ``Accelerating the Solution of Dynamic Programs through State Aggregation,'' graduated 1995, Co-Chairman (with Edwin Romeijn). Formerly member of the technical staff, IBM Thomas J. Watson Research Center. William Cross, ``Approximating Solutions in Infinite Horizon Optimization,'' graduated 1995, Chairman. Formerly Senior Actuarial Assistant, The St. Paul Companies, St. Paul, Minnesota. Karl Wunderlich, ``Dynamic Link Time Prediction in Vehicular Traffic Networks,'' graduated 1994, Corporate Fellow, Noblis, Inc.
David Kaufman,``Optimal Direction Choice for Hit-and-Run Acceleration,'' graduated 1992, Chairman. Formerly Consultant, AT&T Laboratories, Holmdel, NJ. Edwin Romeijn, ``Global Optimization by Random Walk Sampling Methods,'' graduated 1992, Co-Chairman (with Alexander Rinnooy Kan). H. Milton and Carolyn J. Stewart School Chair and Professor, ISYE, Georgia Tech. INFORMS Fellow. Yunsun Park, ``Average Optimality in Infinite Horizon Optimization,'' graduated 1990, Co-Chairman (with James C. Bean). Professor, Myong-Ji University, Korea. Peter Benson, ``A Calculus for Infinite Horizon Optimization,'' graduated 1990, Co-Chairman (with James C. Bean). Quant Placement Director, LSA Mathematics, University of Michigan, Ann Arbor. David Kim, ``Aggregation in Large Scale Markov Chains,'' graduated 1990, Chairman. Professor, Department of Industrial and Manufacturing Engineering, Oregon State University, Corvallis, Oregon. Sarah McAllister Ryan, ``Degeneracy in Discrete Infinite Horizon Optimization,'' graduated 1988, Co-Chairman (with James C. Bean). Professor, Iowa State University, Ames, Iowa. 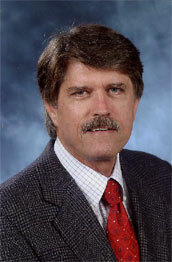 Jeffrey M. Alden, ``Error Bounds for Rolling Horizon Procedures,'' graduated 1987, Co-Chairman (with Stephen M. Pollock). INFORMS Fellow. GM Fellow, General Motors Research Laboratories, Warren, Michigan. Honorable Mention in the 1988 ORSA Nicholson Prize Competition. Recipient of the 2005 Franz Edelman Award for Achievement in Operations Research and the Management Sciences, GMR McCuen Award. Zelda Zabinsky, ``Computational Complexity of Adaptive Algorithms in Monte Carlo Optimization,'' graduated 1985, Chairman. Professor, University of Washington, Seattle. Donald E. Brown, ``A Bayesian Justification for Cross-Entropy Minimization in Decision Analysis,'' graduated 1985, Chairman. W.S. Calcott Professor, University of Virginia, Charlottesville. Wallace J. Hopp, ``Non-homogeneous Markov Decision Processes with Applications to R & D Planning,'' graduated 1984, Co-Chairman (with James C. Bean). Member of NAE and INFORMS Fellow. Associate Dean and Alessi Professor of Business Administration, University of Michigan, Ann Arbor. Recipient of the 1985 ORSA Nicholson Prize. "A simplex method for uncapacitated pure-supply infinite network flow problems," with Chris Thomas Ryan and Marina Epelman, SIAM Journal on Optimization, forthcoming, 2018. "Single Observation Adaptive Search for Continuous Simulation Optimization," with Seksan Kiatsupaibul and Zelda Zabinsky, Operations Research, forthcoming, 2018. "Simplex Algorithm for Countable-state Discounted Markov Decision Processes," with Ilbin Lee. Marina A. Epelman, and H. Edwin Romeijn, Operations Research, forthcoming, 2017. "Solving Infinite Horizon Optimization Problems Through Analysis of a One-dimensional Global Optimization Problem," with Seksan Kiatsupaibul and Zelda Zabinsky, Journal of Global Optimization, forthcoming, 2016. "Solvability in Infinite Horizon Optimization," with Lortz, T.D., Dolinskaya, I.D., and Ghate, A.V, Operations Research Letters, Vol. 43, Issue, pp. 498-503, September 2015. "Parameter-free Sampled Fictitious Play for Solving Deterministic Dynamic Programming Problems," with Dolinskaya, I.S., Epelman, M.A., and Sisikoglu, E., Journal of Optimization Theory and Applications, forthcoming, 2015. "Sampled Fictitious Play for Multi-action Stochastic Dynamic Programs" with Archis Ghate, Shih-Fen Cheng, Stephen Baumert, Daniel Reaume, and Dushyant Sharma, IIE Transactions, Vol. 46, pp. 742-756, 2014. "Extreme point characterization of constrained nonstationary infinite-horizon Markov decision processes with finite state space," with I Lee, MA Epelman, and HE Romeijn, Operations Research Letters, Vol 42 (Issue 3), pp 238-245, 2014. “Hit-and-Run Methods,” with Zelda Zabinsky, Encyclopedia of Operations Research and Management Sciences, Editors: S. I. Gass and M.C. Fu, Springer, pp. 721-729, 2013. "A Dynamic Programming Approach to Achieving an Optimal End-State Along a Serial Production Line," with Shih-Fen Cheng, Blake E. Nicholson, Marina A. Epelman, and Daniel J. Reaume, IIE Transactions,Vol. 45, pp. 1278-1292, 2013. "Fastest-Path Planning for Direction-Dependent Speed Functions," with Irina S. Dolinskaya, Journal of Optimization Theory and Applications,Vol. 158, pp. 480-497, 2013. "A linear programming approach to nonstationary infinite horizon Markov decision processes," with Archis Ghate, Operations Research, Vol. 61, No. 2, pp. 413–425, March–April, 2013. ``Average Optimality in Nonhomogeneous Infinite Horizon Markov Decision Processes,'' with Allise Wachs and I.E. Schochetman, Mathematics of Operations Research, Vol. 36, No. 1, 147-164, February 2011. "Sampled Fictitious Play for Approximate Dynamic Programming," with Archis Ghate and Marina Epelman, Computers and Operations Research, Vol. 36, Issue 12, pp. 1705-1718, 2011. “Pattern discrete and mixed Hit-and-Run for global optimization,” with Huseyin Onur Mete, YanfangShen, Zelda Zabinsky, and Seksan Kiatsupaibul, Journal of Global Optimization, Vol. 50, No. 4, pp. 597-627, 2011. "A Shadow Simplex Method for Inﬁnite Linear Programs," with Archis Ghate and Dushyant Sharma, Operations Research, Vol. 58, No. 4, JulyAugust 2010, pp. 865877, 2010. "Characterizing Extreme Points as Basic Feasible Solutions in Inﬁnite Linear Programs," with Archis Ghate, Operations Research Letters, Vol 37, Issue 1, pp 7-10, January 2009. “Optimal Short-Range Routing of Vessels in a Seaway”, with Dolinskaya, I. S., Kotinis, M., and Parsons, M. G., Journal of Ship Research, Volume 53, Number 3, pp. 121-129, September 2009. "Discrete Hit-and-Run for Sampling Points from Arbitrary Distributions over Subsets of Integer Hyper-rectangles," with Stephen Baumert, Archis Ghate, Seksan Kiatsupaibul, Yanfang Shen, and Zelda B. Zabinsky, Operations Research, Vol. 57, No. 3, pp. 727-739, May-June 2009. "Optimal Backlogging Over an Inﬁnite Horizon Under Time Varying Convex Production and Inventory Costs," with Archis Ghate, Manufacturing and Service Operations Management (MSOM), Vol. 11, No. 2, pp 362-368, 2009. "A Hit-and-Run Approach for Generating Scale Invariant Small World Networks," with Archis Ghate, Networks, Vol 53, Issue 1, pp 67-78, January 2009. "A Dynamic Programming Approach to Efficient Sampling from Boltzmann Distributions," with Archis Ghate, Operations Research Letters, Vol. 36, Issue 6, pp 665-668, November 2008. "Adaptive Search with Stochastic Acceptance Probabilities for Global Optimization," with Archis Ghate, Operations Research Letters, Volume 36, Issue 3, pp 285-290 May 2008. "A Reach and Bound Algorithm for Acyclic Dynamic Programming Networks," with Matthew D. Bailey and Jeffrey M. Alden, Networks, Volume 52, Issue 1, pp 1-7, August 2008. “Infinite Horizon Optimality Criteria for Equipment Replacement under Technological Change,” with I. E. Schochetman, Operations Research Letters, Volume 35, Issue 4, pp 485-492, July 2007. “An Analytically Derived Cooling Schedule for Simulated Annealing” with Yanfang Shen, Seksan Kiatsupaibul, and Zelda Zabinsky, Journal of Global Optimization, Volume 38, Issue 3, pp 333 - 365, July, 2007. “Convergence of Minimum Norm Elements of Projections and Intersections of Nested Affine Spaces in Hilbert Space,” with Ernie Schochetman and J. Tsui, Journal of Mathematical Analysis and Applications, Volume 330, Issue 1, pp 467-482, June 2007. “Solution and Forecast Horizons for Infinite Horizon Nonhomogeneous Markov Decision Processes,” with T. Cheevaprawatdomrong, I.E. Schochetman, and Alfredo Garcia, Mathematics of Operations Research, Volume 32, Issue 1, pp 51-72, February, 2007. “Extreme Point Characterizations for Infinite Network Flow Problems,” with Dushyant Sharma and Edwin Romeijn, Networks, Volume 48, Issue 4, pp 209222, 2006. “CoSIGN: A Parallel Algorithm for Coordinated Traffic Signal Control,” with Shih-Fen Cheng and Marina A. Epelman, IEEE Transaction on Intelligent Transportation Systems, Vol 7, Issue 4, pages 551-564, Dec. 2006. "Optimality Criteria for Deterministic Discrete Time Infinite Horizon Optimization," with I.E. Schochetman, International Journal of Mathematics and Mathematical Sciences, 2005:1, pp 57-80, 2005. "A Fictitious Play Approach to Large-Scale Optimization" with Theodore J. Lambert III and Marina A. Epelman, Operations Research, Vol. 53, No. 3, pp. 477-489, May-June 2005. "Existence of Efficient Solutions in Infinite Horizon Optimization under Continuous and Discrete Controls," with I.E. Schochetman, Operations Research Letters 33, 97-104, 2005. "Infinite Horizon Production Scheduling in Time-varying Systems under Stochastic Demand," with T. Cheevaprawatdomrong, Operations Research, Volume 52, Number 1, January-February 2004. "Optimal Estimation of Univariate Black Box Lipschitz Functions with Upper and Lower Error Bounds" with Zelda Zabinsky and Birna P. Kristinsdottir, Computers & Operations Research, Volume 30, Issue 10, Pages 1539-1553, September 2003. "A Paradox in Equipment Replacement under Technological Improvement" with Torpong Cheevaprawatdomrong, Operations Research Letters, 31, pages 77 - 82, 2003. "Implementing Pure Adaptive Search for Global Optimization," with Daniel Reaume and Edwin R. Romeijn, Journal of Global Optimization, Vol. 20, No. 1, pages 33-47, 2001. "On the Closure of the Sum of Closed Subspaces," with I.E. Schochetman and S-K. Tsui, International Journal of Mathematics and Mathematical Sciences, v. 26, no. 5, 1-11, 2001. "Solving Nonstationary Infinite Horizon Stochastic Production Planning Problems," with Alfredo Garcia, Operations Research Letters, Vol. 27, No. 3, pp. 135-141, 2000. "Link Travel Time Prediction for Decentralized Route Guidance Architectures," with Karl Wunderlich and David Kaufman, IEEE Transactions on Intelligent Transportation Systems, Vol. 1, No. 1, pp. 4-14, March 2000. "A Finite Algorithm for Solving Infinite Dimensional Optimization Problems,'" with I.E. Schochetman, Annals of Operations Research, Special volume dedicated to A. V. Fiacco's 70th birthday, v. 101, 119-142, 2001. "Solving Nonstationary Infinite Horizon Dynamic Optimization Problems," with Alfredo Garcia, Journal of Mathematical Analysis and Applications, Vol. 244, No. 2, pp 304-317, 2000. ``Fictitious Play for Finding System Optimal Routings in Dynamic Traffic Networks " with Alfredo Garcia and Dan Reaume, Transportation Research B, Vol. 34, pp 147-156, 2000. ``Parallel Algorithms for Solving Aggregated Shortest Path Problems,'' with Edwin Romeijn, Computers and Operations Research, Special Issue on Aggregation, Volume 26, Issue 10-11, pp 941-953, 1999. ``A Mixed Integer Linear Programming Model for Dynamic Route Guidance,'' with David Kaufman and Jason Nonis, Transportation Research Part B: Methodological, vol. 32, no. 6, pp. 431-440, 1998. ``Approximating Shortest Paths in Large Scale Networks with Application to Intelligent Transportation Systems,'' with Julie Chou and Edwin Romeijn, INFORMS Journal on Computing, 10 , no. 2, 163--179, 1998. ``Infinite Horizon Production Planning in Time Varying Systems with Convex Production and Inventory Costs,'' with Rachel Zhang, Management Science, Vol. 44, no 9:1313-20, 1998. ``Shadow Prices in Infinite Dimensional Linear Programming,'' with Edwin Romeijn, Mathematics of Operations Research, Vol. 23, No. 1, 239-256, Feb 1998. ``Existence and Discovery of Average Cost Optimal Solutions in Deterministic Infinite Horizon Optimization,'' with I.E. Schochetman, Mathematics of Operations Research, 23 , no. 2, 416--432, 1998. ``Approximating Extreme Points in Infinite Dimensional Convex Sets,'' with William Cross and Edwin Romeijn, Mathematics of Operations Research, , Vol. 23, No. 1, May, 1998. ``User Equilibrium Properties of Fixed Points in Iterative Dynamic Routing/Assignment Models'' with David Kaufman and Karl Wunderlich, Transportation Research C, Vol. 6, Issue 1, 1998. ``Direction Choice For Accelerated Convergence In Hit-and-Run Sampling,'' with David Kaufman, Operations Research, Jan-Feb, 1998. ``Solution Existence for Infinite Quadratic Programming,'' with I.E. Schochetman and S-K. Tsui, Mathematical Programming with Data Perturbations, A. Fiacco, Editor, Marcel Dekker, NY, 363-385, 1997. "The Hit-and-Run Sampler: A Globally Reaching Markov Chain Sampler for Generating Arbitrary Probability Distributions," Proceedings of the Winter Simulation Conference, San Diego, 1996. ``An Exact Aggregation/Disaggregation Algorithm for Large Scale Markov Chains,'' with David S. Kim, Naval Research Logistics, Vol. 42, pp. 1115-1128, 1995. ``Solution Existence for Time-Varying Infinite Horizon Optimal Control,'' with I.E. Schochetman, and S.-K. Tsui, Journal of Mathematical Analysis and Applications, 195, 135-147, 1995. ``Optimal Solution Approximation for Infinite Positive-definite Quadratic Programming,'' with Peter Benson, I.E. Schochetman, and James C. Bean, Journal of Optimization Theory and Applications, 85, 235-248, 1995. ``Simulated Annealing and Adaptive Search in Global Optimization,'' with Edwin Romeijn, Probability in the Engineering and Informational Sciences, Vol. 8, pp. 571-590, 1994. ``Optimal Solution Characterization for Infinite Positive Semi-definite Quadratic Programming,'' with Peter Benson, I.E. Schochetman, and James C. Bean, Applied Mathematics Letters , Vol. 7, pp. 65-67, 1994. ``Simulated Annealing for Constrained Global Optimization,'' with Edwin Romeijn, Journal of Global Optimization , Vol. 5, pp. 101-126, 1994. ``Equipment Replacement Under Technological Change,'' with James C. Bean and Jack R. Lohmann, Naval Research Logistics , Vol. 41, pp. 117-128, 1994. ``Solution Approximation in Infinite Horizon Linear Quadratic Control,'' with I.E Schochetman, IEEE Transactions on Automatic Control , Vol. 39, No. 3, 596-601, 1994. ``Dynamic System-Optimal Traffic Assignment using a State Space Model,'' with Stephane Lafortune, Raja Sengupta, and David Kaufman, Transportation Research. Part B , Vol. 27B, No. 6, 451-472, 1993. ``Optimal Average Value Convergence in Nonhomogeneous Markov Decision Processes,'' with Yun Sun Park and James C. Bean, Journal of Mathematical Analysis and Applications , Vol. 179, No. 2, 525-536, 1993. ``Improving Hit-and-Run for Global Optimization,'' with Z. Zabinsky, J. F. McDonald, H. E. Romeijn, and D. E. Kaufman, Journal of Global Optimization , Vol. 3, 171-192, 1993. ``Hit-and-Run Algorithms for Generating Multivariate Distributions,'' with Claude Belisle and Edwin Romeijn, Mathematics of Operations Research , Vol 18, No. 2, 255-266, May 1993. ``Conditions for the Discovery of Solution Horizons,'' with James C. Bean, Mathematical Programming , Vol 59, No. 2, 215-229, 1993. ``Fastest Paths in Time-Dependent Networks for IVHS Applications,'' with David E. Kaufman, Journal of Intelligent Transportation Systems , Vol. 1, No. 1, 1993. ``Posterior Convergence under Incomplete Information,'' with Aharon Ben-Tal and Donald E. Brown, Systems and Management Science by Extremal Methods , Editors: F. Y. Phillips and J. J. Rousseau, Kluwer Academic Publishers, 1992, pp 245-254. ``Convergence of Best Approximations from Unbounded Sets,'' with I.E. Schochetman, Journal of Mathematical Analysis and Applications , Vol. 166, No. 1, pp. 112-128, 1992. ``Capacity Expansion Under Stochastic Demands," with James C. Bean and Julia Higle, Operations Research , Vol 40, Suppl 2, May-June 1992. ``Rolling Horizon Procedures in Nonhomogeneous Markov Decision Processes,'' with Jeffrey M. Alden, Operations Research , Vol. 40, Suppl. 2, S183-194, May-June 1992. ``Finite Dimensional Approximation in Infinite Dimensional Mathematical Programming,'' with I.E. Schochetman, Mathematical Programming , Vol. 54, No. 3, pp. 307-333, 1992. ``A Tie-breaking Algorithm for Discrete Infinite Horizon Optimization,'' with Sarah M. Ryan and James C. Bean, Operations Research , Vol. 40, pp. S117-S126, Jan-Feb 1992. ``Duality in Infinite Dimensional Linear Programming,'' with H. Edwin Romeijn and James C. Bean, Mathematical Programming , Vol. 53, pp. 79-97, 1992. `Pure Adaptive Search in Global Optimization'' with Zelda Zabinsky, Mathematical Programming , Vol. 53, pp. 323-338, 1992. ``Shake-and-Bake Algorithms for Generating Uniform Points on the Boundary of Bounded Polyhedra,'' with C.G.E. Boender, R.J. Caron, A.H.G. Rinnooy Kan, J.F. McDonald, H. Edwin Romeijn, J. Telgen, and A.C.F. Vorst, Operations Research , Vol. 39, No. 6, pp. 935-953, November-December 1991. ``An Iterative Routing/Assignment Method for Anticipatory Real-time Route Guidance,'' with D. Kaufman and K. Wunderlich, IEEE VNIS Conference Proceedings , Dearborn, MI, Oct. 20-23, pp. 693-700, 1991. ``Convergence of Selections with Applications in Optimization,'' with I.E. Schochetman, Journal of Mathematical Analysis and Applications , Vol. 155, pp. 278-292, 1991. ``Denumerable State Nonhomogeneous Markov Decision Processes'' with James C. Bean and Jean B. Lasserre, Journal of Mathematical Analysis and Applications , Vol. 153, pp. 64-77, 1990. ``Deterministic Equivalence in Stochastic Infinite Horizon Problems'' with Julia L. Higle and James C. Bean, Mathematics of Operations Research , Vol. 15, pp. 396-407, 1990. "An Exact Aggregation/Disaggregation Algorithm for Mandatory Set Decomposable Markov Chains," with David S. Kim, In Numerical Solution of Markov Chains, W.J.Stewart (eds. ), Marcel Dekker Inc., New York 1990. ``A Correspondance Principle for Relative Entropy Minimization'' with Donald E. Brown, Naval Research Logistics , Vol. 37, pp. 191-202, 1990. ``Infinite Horizon Optimization,'' with I.E. Schochetman, Mathematics of Operations Research , Vol. 14, pp. 559-574, 1989. ``Pure Adaptive Search in Monte Carlo Optimization,'' with Nitin R. Patel and Zelda Zabinsky, Mathematical Programming , Vol. 43, pp. 317-328, 1988. ``A New Optimality Criterion for Non-homogeneous Markov Decision Processes,'' with Wallace J Hopp and James C. Bean, Operations Research, Vol. 35, pp. 875-883, 1987. ``Forecast Horizons for the Discounted Dynamic Lot Size Problem Allowing Speculative Motive,'' with James C. Bean and Candace Y. Yano, Naval Research Logistics, Vol. 34, pp. 761-774, 1987. ``Aggregation in Dynamic Programming,'' with James C. Bean and John R. Birge, Operations Research , Vol. 35, pp. 215-220, 1987. ``Hit-and-Run Algorithms for the Identification of Nonredundant Constraints,'' with H.C.P. Berbee, C.G.E. Boender, A.H.G. Rinnooy Kan, C.L. Scheffer, and J. Telgen, Mathematical Programming Vol. 37, pp.184-207, 1987. ``The Expected Number of Extreme Points of a Random Linear Program,'' with Sancho E. Berenguer, Mathematical Programming 35, pp. 129-134, 1986. ``Optimal Capacity Expansion Over an Infinite Horizon,'' with James C. Bean, Management Science , Vol. 31, No. 12, pp. 1523-1532, 1985. ``A Dynamic Infinite Horizon Replacement Economy Decision Model,'' with James C. Bean and Jack R. Lohmann, The Engineering Economist , Vol. 30, No. 2, pp. 99-120, 1985. ``An Information Theory Model for the Evaluation of Circumstantial Evidence,'' with Allan R. Sampson, IEEE Transactions on Systems, Man, and Cybernetics , Vol. SMC-15, No. 1, pp. 9-16, 1985. ``Random Procedures for Nonredundant Constraint Identification in Stochastic Linear Programs,'' with John R. Birge, American Journal of Mathematics and Management Sciences , (Special Issue on Statistics in Optimization), Vol. 4, Nos. 1 and 2, pp. 41-70, 1984. ``Efficient Monte Carlo Procedures for Generating Points Uniformly Distributed Over Bounded Regions,'' Operations Research , Vol. 32, pp. 1296-1308, 1984. ``Conditions for the Existence of Planning Horizons,'' with James C. Bean, Mathematics of Operations Research , Vol. 9, No. 3, pp. 391-401, August, 1984. ``The Asymptotic Extreme Value Distribution of the Sample Minimum of a Concave Function Under Linear 54. Constraints,'' with Nitin R. Patel, Operations Research , Vol. 3, No. 4, pp. 789-794, 1983. ``Assessing Risks Through the Determination of Rare Event Probabilities,'' with Allan R. Sampson, Operations Research , Vol. 8, No. 5, pp. 839-866, 1982. ``Random Polytopes: Their Definition, Generation, and Aggregate Properties,'' with Jerrold H. May, Mathematical Programming , Vol. 24, pp. 39-54, September, 1982. ``The Definition and Generation of Geometrically Random Linear Constraint Sets,'' with Jerrold H. May, in Mulvey, J. M., Ed., Evaluating Mathematical Programming Techniques , Springer- Verlag, 1982. ``Planning Horizons for the Deterministic Capacity Problem,'' Computers and Operations Research , (Special Issue on Recent Developments in Inventory Theory), Vol. 8, No. 3, pp. 209-220, 1981. ``Optimal Expansion Policies for the Deterministic Capacity Problem,'' The Engineering Economist , Vol. 24, Spring, 1980. ``Turnpike Results for Single Location Capacity Expansion,'' Management Science , Vol. 25, May 1979. ``Deferral Strategies for a Dynamic Communications Network,'' Networks , Vol. 9, No. 1, 1979. ``Comment on 'Probabilities Based on Circumstantial Evidence','' with Robert P. Charrow, Journal of the American Statistical Association Vol. 72, June, 1977. ``General Horizon Results for the Deterministic Capacity Problem,'' IEEE International Conference on Communications: Conference Record , June 1976. ``A Conversation on Collins,'' with Robert P. Charrow, Georgetown Law Journal , Vol. 64, No. 3, February, 1976. ``Upper and Lower Bounds for Probability of Guilt Based on Circumstantial Evidence,'' with Robert P. Charrow, Journal of the American Statistical Association , Vol. 70, pp. 555-560, 1975. ``A Review of 'Systems Analysis and Design','' Operations Research , Vol. 22, July-August, 1974. ``An Elementary Proof of the Duality Theorem of Linear Programming,'' Journal of Optimization Theory and Applications , Vol. 12, pp. 129-135, 1973. ``Accommodating Student Demand for Courses by Varying the Classroom-size Mix,'' Operations Research , Vol. 19, pp. 862-874, 1971.